She is now a member of the CAPACETE teaching program in Rio de Janeiro, together with Anne Szefer Karlsen, Andrea Fraser, Suely Rolnik, Bik van der Pol, Ricardo Basbaum, among others. Castro has been awarded study grants and residency fellowships at the University of Hong Kong (2002, China), Peggy Guggenheim Collection Museum (2005, Italy), the Art Gallery of York University (2007, Canada), Hordaland Kunstsenter (2010, Norway) and IASPIS (2010, Sweden). Conceived and curated the Recombining Territories, an itinerant and interchanging exhibition that’s travelled seven capitals of Brazil (2006-10). Co-curated with Jochen Volz The Spiral and the Square: exercises on translatability at Bonniers Konsthall, Stockholm, which interchanged and travelled to Trondheim and Kristiansand, both in Norway (2011-12). Curated A Radically Condensed History of Post-Industrial Life LADO A/LADO B, an exhibition in LP format for the "Impossible Show" at El Spacio, Madrid, Spain (2010-11) and the TEMPORARY GALLERY in Köln, Germany (ongoing). Curated Lights Out, the inaugural exhibition at the Museum of Image and Sound – MIS (2008, São Paulo). She was the assistant curator for the 2010 edition of Home Works V and is also a member since 2014 of the curriculum committee of Home Workspace Program, a pioneering educational initiative in Lebanon launched by Ashkal Alwan. She has developed curatorial and artistic projects for venues including the Reginald Lewis Museum Baltimore, Maryland Historical Society, Frankfurter Kunstverein, and Armory NY. 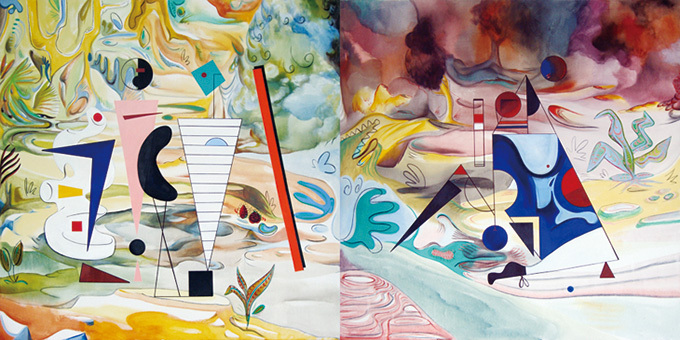 She holds a B.A in Math and Studio Arts from Dartmouth College and an M.A. 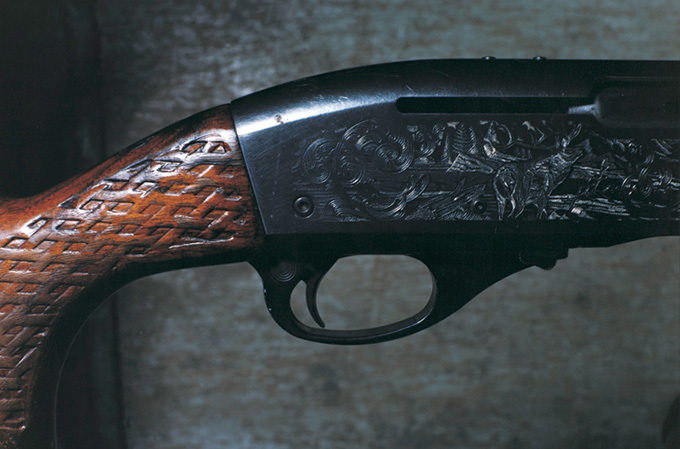 in Curatorial Studies from Bard College. Hama Haruka has been coordinator of Yamagata International Documentary Film Festival since 2003, and currently serves as head of YIDFF Tokyo Office. To date she has been in charge of New Asian Currents, Okinawa—Nexus of Borders: Ryukyu Reflections; Islands/I Lands—Cinemas in Exile; and Islands/I Lands, Now—Vista de Cuba, among others. She has spent time in Argentina, Mexico, and Cuba as part of the Agency for Cultural Affairs’ Japanese Government Overseas Study Programme for Artists. Member of art producer team Cimarcus, and the editorial team of las barcas, in addition to being a staff member of film distribution company Cinematrix. Born in Aichi Prefecture in 1968, Ito Yuko became a curator in 1990 at Nagoya City Art Museum, where she was chiefly responsible for educational promotion, implementing educational programs for children, and involving herself in the training and deployment of volunteer museum guides. As a freelance educator since 2004, she organizes workshops and other programs, and lectures at Nagoya Zokei University and other institutions. She was educator of Aichi Triennale 2010. Born in Osaka in 1955, Yasuhito Nagahara has engaged in cross media design such as book design, digital media projects and art direction of exhibitions. He successively held the posts of art director of Japanese governmental pavilions, which were “Cyber Nippon-kan” at Aichi International World Exposition in 2005 and web-site of the Japan pavilion at the Zaragoza International World Exposition in 2008. Published works include Dezain no Fūkei (The Landscape of Design, 2010), Nihongo no Dezain (Design of the Japanese Language, 2002), and Dezain uizu Konpyūta (Designing with the Computers, 1999). Caravanserai is a Farsi (Persian) word meaning a roadside inn for travelers (caravaners). They are grand establishments, with large courtyards containing stables, storehouses, and trading posts, and lodgings on the second floor. Here travelers can rest and recover from the fatigue of their journey. One of Japan’s major cities with a population of about 2.29 million people, located in the western part of Aichi Prefecture, Nagoya is the political, economic, and cultural center of the Chubu region of the country. It is characterized by its mix of a rich history, a proud culture of skilled manufacturing, and industrial vitality. 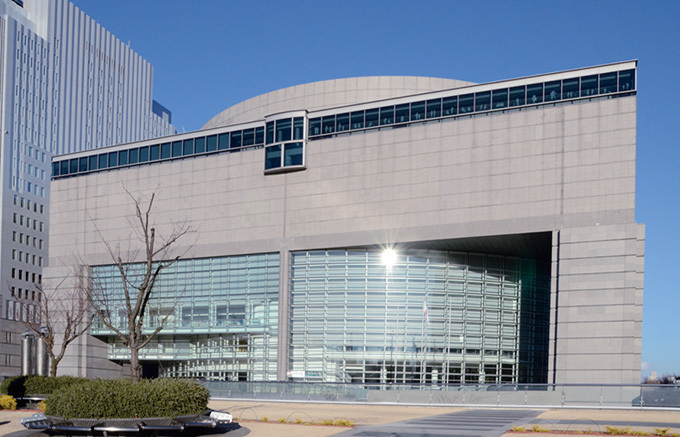 Opened in 1992, Aichi Arts Center is one of the country’s largest culture and arts venue, housing under one roof the Aichi Prefectural Museum of Art and Aichi Prefectural Art Theater, which includes The Theater, Concert Hall, and Mini Theater. 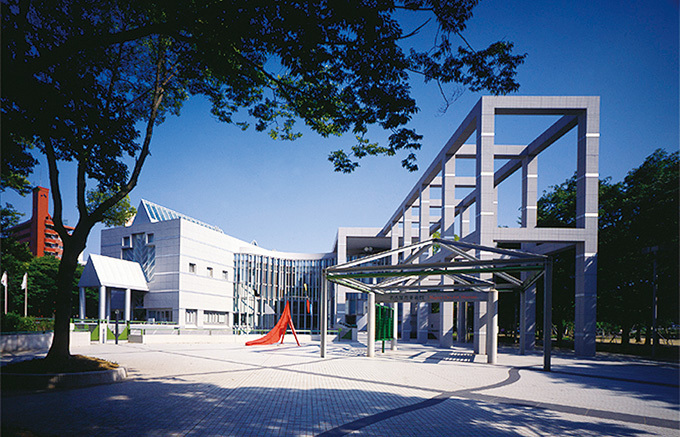 Opened in 1988, Nagoya City Art Museum is located in leafy Shirakawa Park in central Nagoya. The building was designed by Kisho Kurokawa. The museum holds roughly 5,800 works of art, including Amedeo Modigliani’s Girl with Pigtails, which can be seen at the museum’s Permanent Collection Gallery. It also hosts special or touring shows at its Temporary Exhibition Gallery. 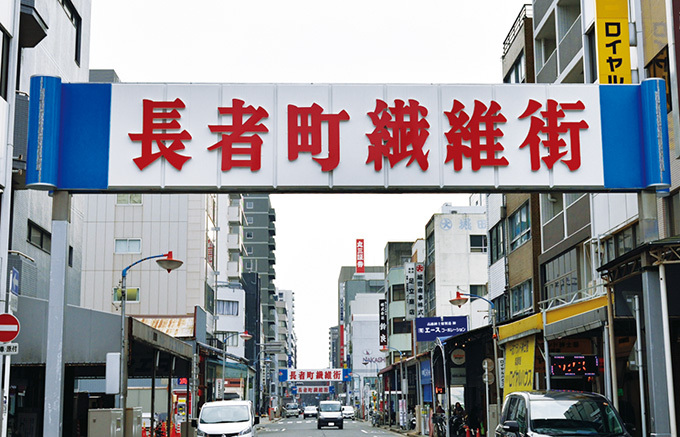 Choja-machi is a neighborhood located between Nagoya’s urban heart Sakae and Nagoya Station. Although it is Nagoya’s leading business district, its liveliness is also marked by a distinctive, time-honored ambience. In the Edo period Choja-machi was the center of the local castle town, and after World War II it grew into one of the country’s three major textile wholesale districts, rivaling Nihonbashi Yokoyamacho in Tokyo and Senba Dobuikesuji in Osaka. Choja-machi was one of the off-site venues for the 2010 and 2013 Aichi Triennales. 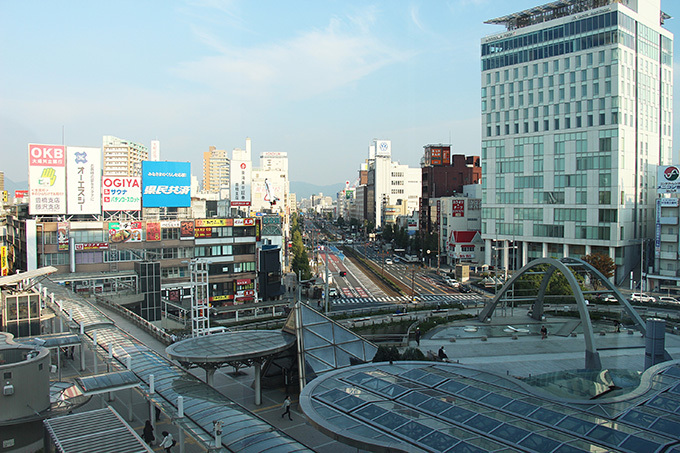 The Sakae Site is located in a commercial area that constitutes the urban center of Nagoya, along with Nagoya Station. Participating artists will showcase their works in the former Meidi-ya Sakae Building that was constructed in the early Showa period; and a modern high-rise building, the Sompo Japan Nipponkoa Nagoya Building, in addition to the Chuo Hirokoji Building that was used as one of the triennale venues in 2013 and 2010. 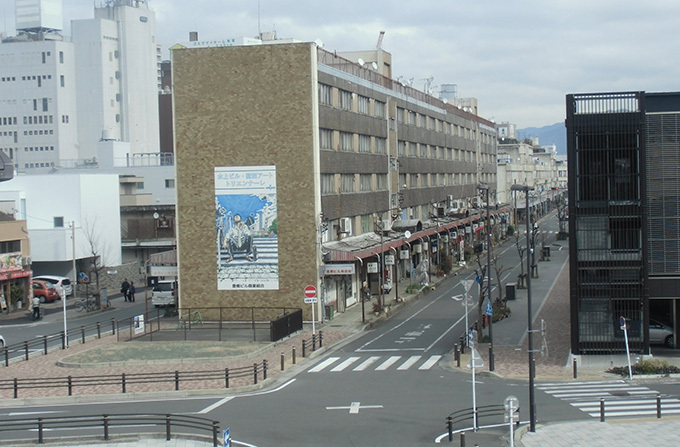 As a gateway to Aichi Prefecture, this area serves more than 1,000,000 people a day. With a superconducting maglev train line expected to go into service in 2027, this area is now home to many high-rise buildings, and more are under construction. 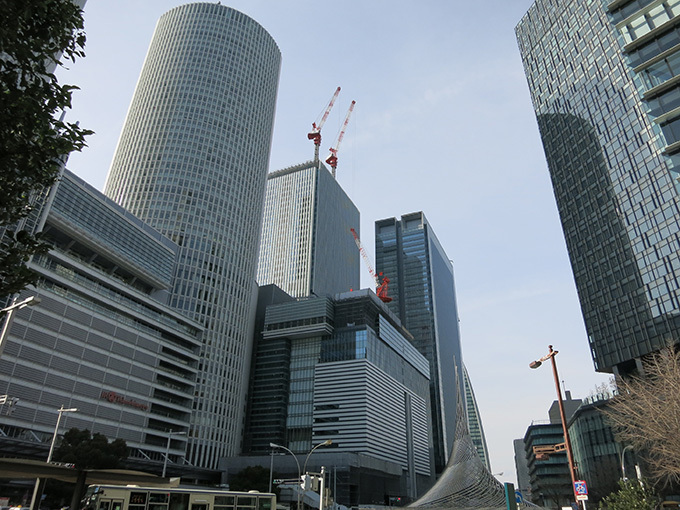 An exhibition will be held in one such high-rise building, the JP Tower Nagoya. A central city in the eastern Mikawa area, Toyohashi City is located in the southeastern part of Aichi Prefecture and has a population of approx. 380,000. Due to its proximity to the Pacific Ocean and Mikawa Bay, the city boasts a beautiful natural environment. There is also a traditional streetcar service available to meet the daily transportation needs of citizens. Known publicly as “Suijo Building” (buildings on the water) and spanning approx. 800 meters, this unique shopping street consists of buildings built over a culvert so that water flows in an urban area. Triennale events will be held in some vacant store spaces of this shopping street. 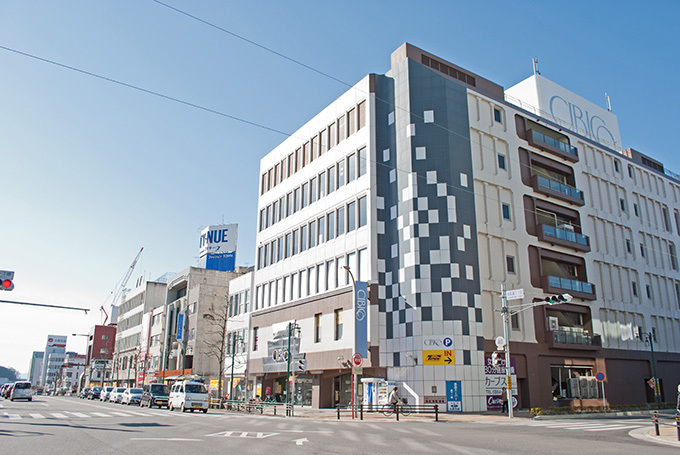 Triennale events will be held in the Kaihatsu Building, which houses offices and restaurants, and other sites in the area in front of the east exit of Toyohashi Station in the center of Toyohashi City, where streetcars are still in operation. A central city in the western Mikawa area, Okazaki City is located in the central part of Aichi Prefecture and has a population of approx. 380,000. The city is renowned as the birthplace of Tokugawa Ieyasu, founder of the Edo shogunate, and boasts an abundance of historical and traditional assets. Higashi-Okazaki Station on the Nagoya Railroad serves many passengers as the gateway to Okazaki City. 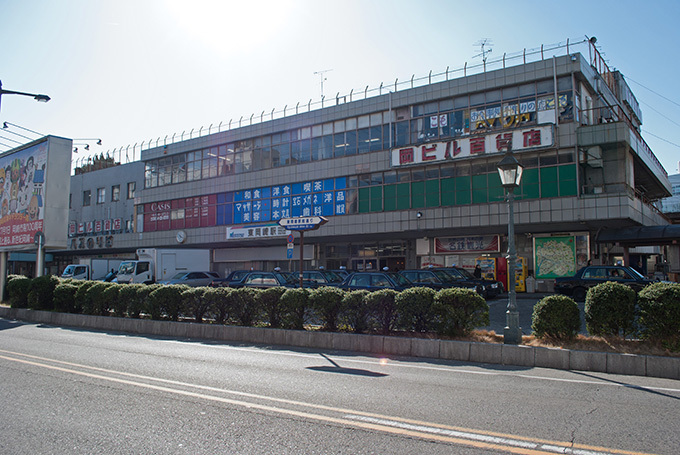 Meitetsu Higashi Okazaki Station Building, which retains a nostalgic atmosphere reminiscent of the mid-Showa period, will be used as one of the triennale venues. This urban area – birthplace of Tokugawa Ieyasu – developed around Okazaki Castle and prospered as a post station along the Tokaido route. This area was also home to the Mikawa samurai who contributed to the establishment of the Tokugawa shogunate. Triennale events will be held in Okazaki Park, where Okazaki Castle is located, Okazaki CIBICO, a commercial facility, and other sites. 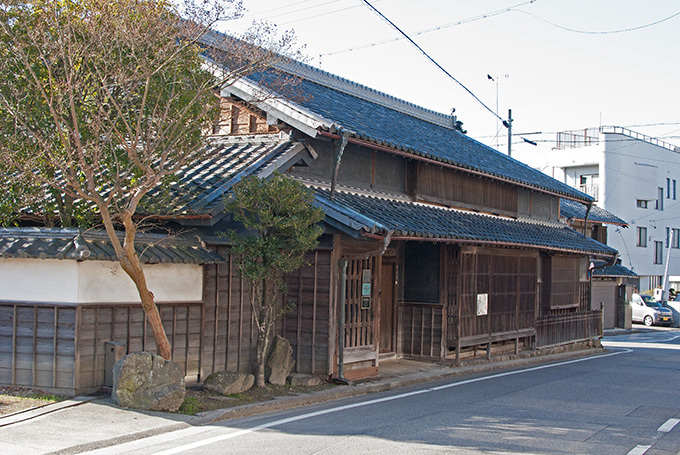 This is an old urban center with temples and houses built on gentle hills, and narrow alleys winding through the area. The triennale venue in this site is the Former Residence of the Ishihara Family, a registered national tangible cultural property which was built at the end of the Edo period. Eighty groups of artists from Japan and abroad will showcase works of cutting-edge contemporary art. Exhibition sites include the Aichi Arts Center and the Aichi Prefectural Museum of Art, as well as many other community facilities in Nagoya City, Toyohashi City, and Okazaki City. A festive mood will be created through works of art exhibited at community facilities in Nagoya City (Chojamachi, Sakae, and Nagoya Station Sites), Toyohashi City (PLAT, Suijo Building, and Toyohashi Eki-mae Main Road Sites), and Okazaki City (Higashi-Okazaki Station, Kosei and Rokku Sites). A total of seven complementary events named “Column Projects,” each designed under a specific concept in line with the general theme of Aichi Triennale 2016, will be held in each area. An event named “LOCUS FABER TSUKULOCCA” will be held, where general participants will share ideas with artists and together create digital works using digital fabrication technology, which has been rapidly evolving in recent years. Film and video works produced by film makers, both Japanese and foreign, under the theme of “journey” will be shown in the Aichi Arts Center and other venues from Fri., August 19 to Sun., September 11, 2016. Ten groups from Japan and abroad will give dance, musical and other theatrical performances. Workshops on performing arts will also be organized. Performances will be given throughout the triennale period, especially on Saturdays and Sundays during the “Rainbow Weeks” starting from Thu., October 6. 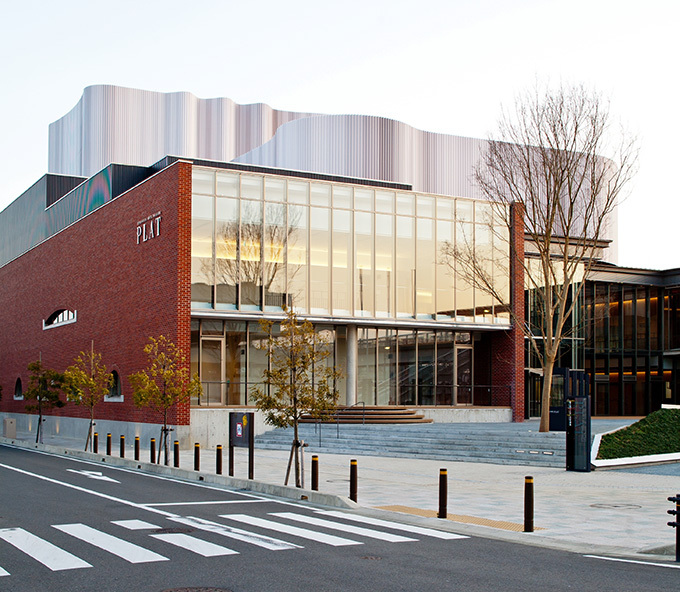 The performance sites include the Aichi Arts Center and many other community facilities in Nagoya City, Toyohashi City and Okazaki City. 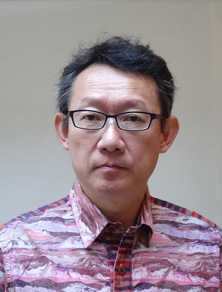 Saburo Teshigawara, a world famous stage director, dancer, and set/lighting/costume designer who is reputed for his distinctive artistic sense, will work with Gaetano d’Espinosa, a young Italian conductor who is gaining increasing popularity for his outstanding musical talent, to stage Mozart’s last opera, The Magic Flute. The collaboration of these exceptional talents will add an entirely new dimension to this opera masterpiece. The opera performance will feature top-class soloists, including Hidekazu Tsumaya, a baritone based in Leipzig, Germany, who has an international opera career, and Mari Moriya, a soprano based in Vienna, who has made a name for herself since her sensational debut at the Metropolitan Opera House. Also, the performance of Teruhiko Komori, an experienced baritone who will act as the Speaker and Priest I, is the highlight of this opera. Uniquely, this opera production is accompanied by dance performance by Rihoko Sato and selected dancers of the Tokyo Ballet, and the lines of the characters will be spoken by a narrator. With the Nagoya Philharmonic Orchestra and Aichi Arts Center Choral Society, which are well-known to local citizens, the opera production will be presented in a unique “Aichi Triennale” style. Venues for hands-on creation will be open to participants, including children, while workshops will be organized for participants to enjoy hands-on artistic activities. A guided tour of the International Exhibition and other programs will be implemented to help participants, including children, deepen their understanding of specific artists and works of art. Tours for children, for participants with baby buggies etc. Worksheets and tools to help participants better appreciate exhibits will be available to borrow. There will be talk sessions by artists in lecture programs, and lectures for general participants to deepen their understanding of the theme and concept of the triennale. Programs for schools and other groups, such as symposiums and talk sessions by artists will offer opportunities, especially for pupils and students, to get to know the world’s cutting-edge contemporary art. Group tours to the exhibition sites and artists’ school visit programs will also be implemented. Aichi’s triennales are designed to enhance local attractions and draw visitors by organizing exhibitions and stage performances over a wide area across the prefecture and at facilities easily accessible by the public. This event will also organize stage performances and exhibitions of works of art in collaboration with local cultural and artistic groups and universities of art, and work with local NPOs to encourage local cultural and artistic activities. 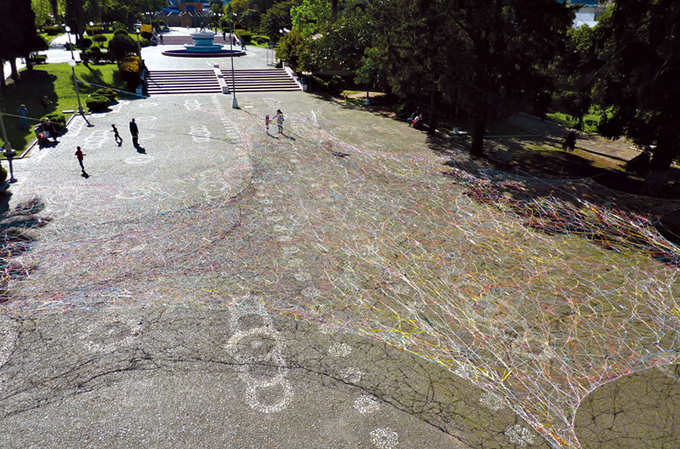 For Aichi Triennale 2016, the third edition of the Triennale, the artistic director is Chihiro Minato, who has lived in Latin America and is currently partially based in France. 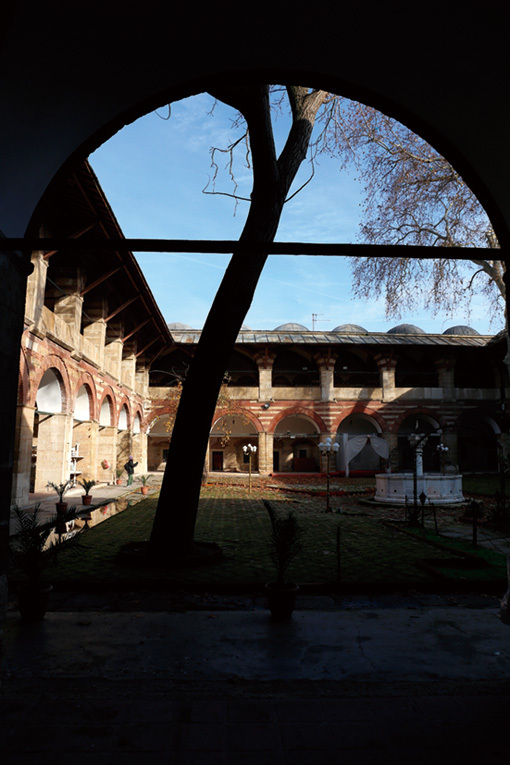 In addition, among the invited curators are Brazil-based Daniela Castro and Turkey-based Zeynep Öz. As a result, there are participating artists from more different countries and regions, and non-Japanese artists make up a higher percentage of the total. For Japanese artists, as well, the works presented reflect artistic activities unfolding everywhere from Hokkaido to Okinawa, and the Triennale as a whole showcases the tremendous creativity of artists throughout Japan and the world. Aichi Triennale 2016 is expanding its framework, aiming to encourage reinterpretation of the very definition of art. In the field of design, D & Department Project is presenting, as their work of art for the Triennale, the guidebooks they produce in various regions using unique methods to unearth and investigate these regions’ distinctive appeal. Other groups and individuals that pursue creative activities from highly original vantage points, such as the Harvard University Sensory Ethnography Lab (cultural anthropology) and Ryoko Sekiguchi (literature), will be featured as well. Participants from the performing arts include Israel Galvan, recognized as a flamenco revolutionary, and Ryoko Aoki, who stages performances that combine Noh theater and contemporary music. Un Yamada has produced a work of contemporary dance based on the blossom festival, a ritual that has been carried out for centuries in the Okumikawa region of Aichi Prefecture. 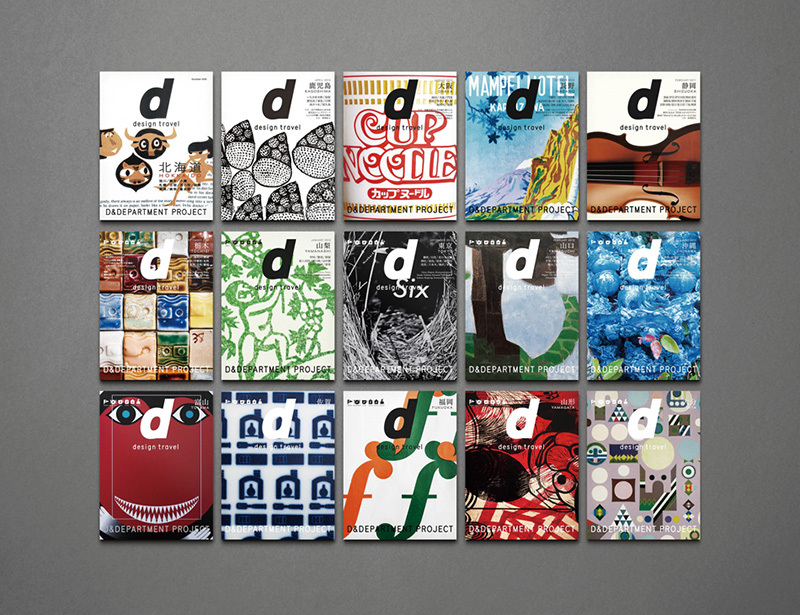 『d design travel』 vol.1～15　2008-　Courtesy of D&DEPARTMENT Inc. Among the artists featured will be Kitakyushu Biennial World Tour, a widely internationally active group that takes as their creative starting point not the ideas of individuals but the collective ideas of multiple members, and Ruangrupa (from Indonesia), a collective that exerts a major impact on the local community through the arts, including by operating art spaces and community radio stations. 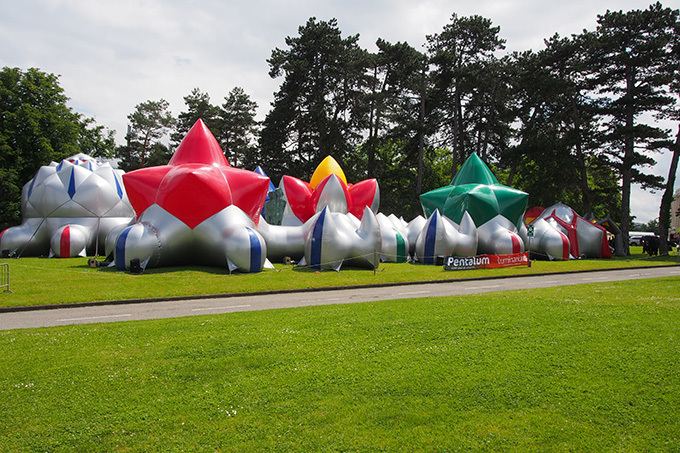 Also, for a limited time, the Luminarium (meaning “house of the moon”), a giant dome-shaped air sculpture designed by the UK-based Architects of Air, will be installed in Okazaki Park. Viewers will be able to enter the sculpture and directly experience a fantastically colorful world permeated with light. Cultural anthropology is a discipline entailing study of the practices and languages of peoples around the world. For this edition of the Triennale, in selecting artists and works for exhibition, the organizers focused on both the unique forms and the universal commonalities of various cultures, the same themes with which cultural anthropology is engaged. In addition, at this arts festival we address humanity’s relationship to nature, including the animals with which we have always coexisted on the planet and elements like soil that existed on the earth long before our emergence, as well as presenting human art from the prehistoric era such as cave paintings. The international exhibition, in addition to presenting works by participating artists, will feature a small side-program series called Column Projects, which will feature varied programs such as exhibitions, lectures, and workshops. The word “column” refers both to the stone elements of classical Greek and Roman architecture that, arrayed in series, support roofs while producing rhythm in the spaces they occupy, and to the supplementary pieces in newspapers that relate episodes and relay opinions, which are secondary to the news yet form an indispensable part of the paper’s layout. In the context of the Triennale, the Column Projects help support the arts festival’s theme and concept in the manner of architectural columns, while also serving to supplement the connections between participating artists and their works like newspaper columns. Aichi Triennale 2016 has the theme of “Homo Faber”*, and aims to shed light on the practice of making things in which humankind has engaged since prehistory. Featured in the Triennale is Locus Faber Tsukulocca**, a project that seeks to expand the possibilities of skilled manufacturing while exploring the relationship between manufacturing and artistic expression. The progress and popularization of digital fabrication technology in recent years promises not only to revolutionize the landscape of mass production but also to bring dramatic changes to the way contemporary art is produced. Tsukulocca will offer the general public the chance to use this digital technology and collaborate with artists to create a work collectively. The period from October 6 to the close of the Triennale is known as the “Rainbow Weeks,” and performing arts events will be concentrated during this period. This means that visitors will be able to experience a variety of programs even during a brief stay. 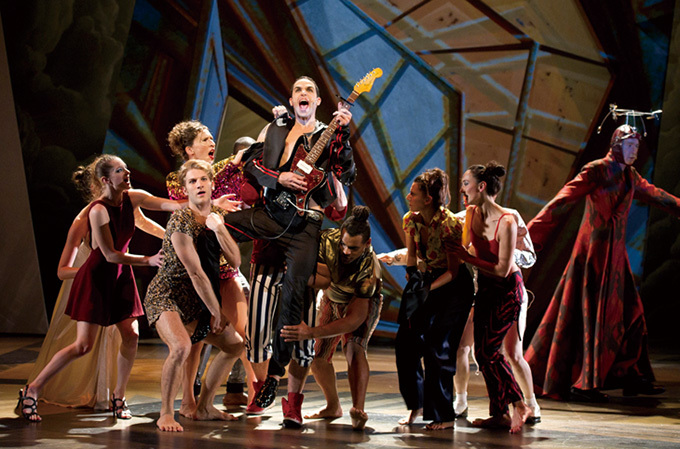 During these weeks, Compagnie DCA / Philippe Decouflé will stage a thrilling spectacle interweaving various genres such as singing, live musical performance and theater, and many other programs mixing artistic disciplines will be featured. Performances will take place at a variety of venues, including Aichi Arts Center as well as Nagoya City Performing Arts Center and Nagoya City Seishonen Culture Center (Art Pia) in Nagoya itself, as well as other locations in the nearby cities of Toyohashi and Okazaki. With a libretto by Emanuel Schikaneder and music by Wolfgang Amadeus Mozart, the German opera The Magic Flute is both a perennial popular favorite and a work of tremendous depth. 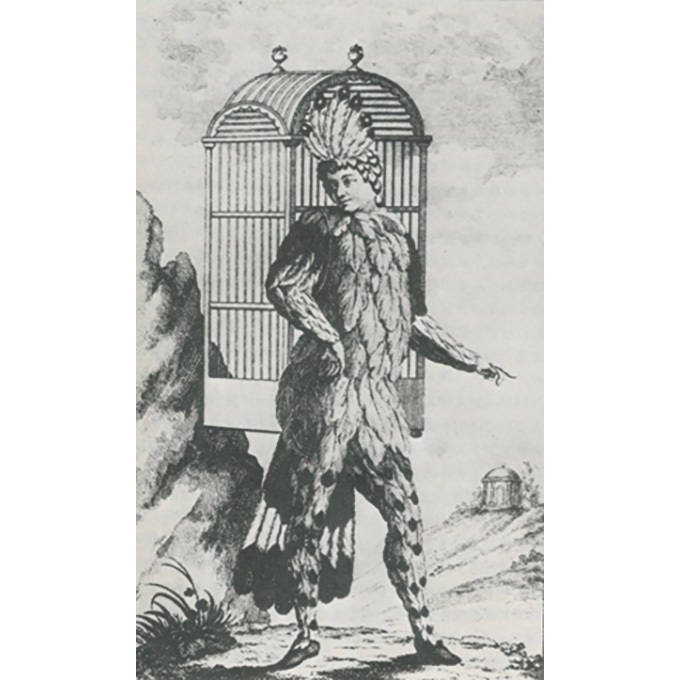 The story features the bird-catcher Papageno and a young man and woman, Prince Tamino and Pamina, who undergo travails, parting, reuniting, and eventually triumphing. It also features settings such as a cave, and a mythological narrative structure, which are meaningful from the standpoint of cultural anthropology. This new production will be conducted by the up-and-coming young Italian conductor Gaetano d'Espinosa, with highly original stage direction by the prodigiously multi-talented Saburo Teshigawara, who also comprehensively oversees the scenography, costumes, and choreography. 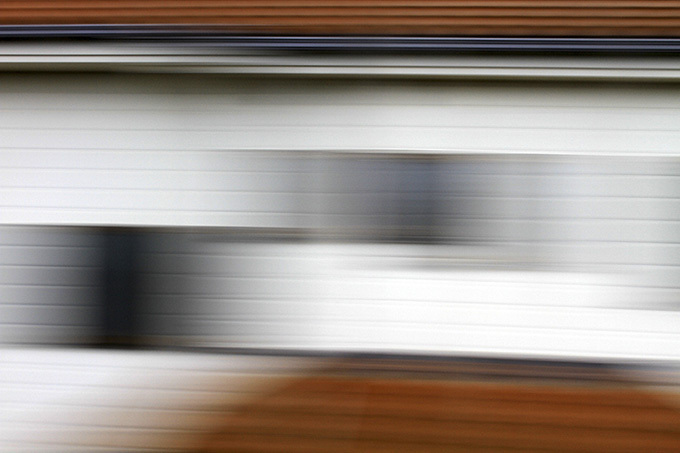 During the Triennale, Art Space H on the 12th floor of the Aichi Arts Center will present the D’Amico Room. 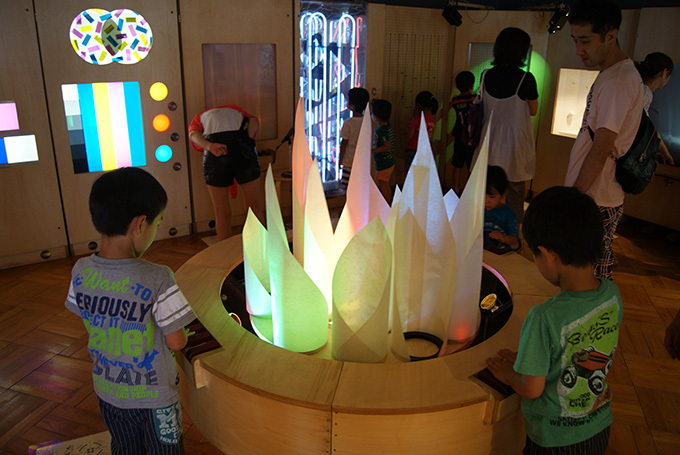 In this room, visitors will be able to sharpen their tactile, visual, and kinesthetic senses and warm up their brains, eyes, and bodies prior to viewing works of art using the Art Teaching Toy apparatus devised by Victor D’Amico. Also on the same floor will be Art Space G, which will feature the Caravan Factory where both adults and children can take part in produce works of art using materials and tools made available on-site. As of June 30, 2015, the number of foreign nationals residing in Aichi Prefecture is 203,698. In terms of nationality, Brazil is the most common country of origin, accounting for 47,076 people or 23.1% of the non-Japanese population. 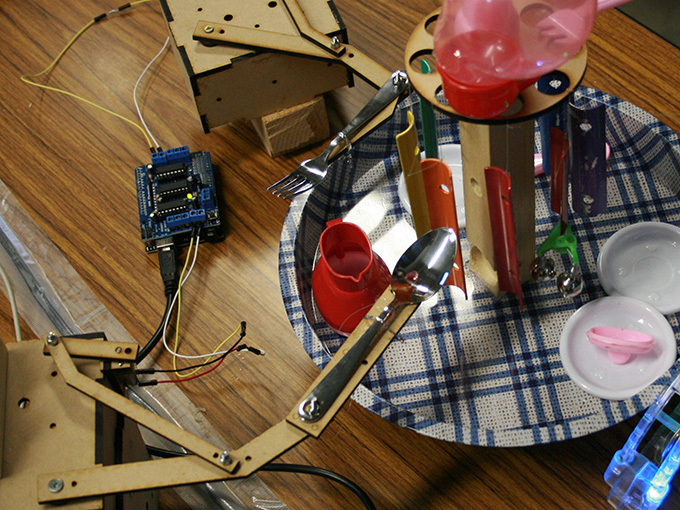 A particularly large number of Brazilians live in the cities of Toyohashi and Okazaki, which are home to several of the Aichi Triennale 2016 sites. Several Brazil-based artists will take part in this edition of the arts festival, including João Mode (in the International Exhibition) who creates works in which anyone can participate; Dani Lima (in the Performing Arts program), Mauro Restiffe, Libidiunga Cardiso, Laura Lima (all in the International Exhibition), and others. In addition to the cities of Nagoya and Okazaki, where the previous Aichi Triennale was held, this edition will also take place in Toyohashi, a city known for the streetcars running up and down its streets. The arts festival in Toyohashi will primarily be based at Toyohashi Arts Theater PLAT, which opened in 2013, and at the Kaihatsu Building on Eki-mae Main Road, as well as in one section of the Suijo Building, a unique structure built on top of a canal in the 1960s. One performing arts program will also be staged in Toyohashi Park. Meanwhile, in Okazaki, in addition of the previous venues of Okazaki Cibico and the Meitetsu Higashi-Okazaki Station Building, newly added as International Exhibition venues will be Former Residence of the Ishihara Family (Rokku Site) and Okazaki Park (Kosei Site). The Choja-machi Site, where the International Exhibition unfolded in 2010 and 2013, became a recognized name on the global art scene. 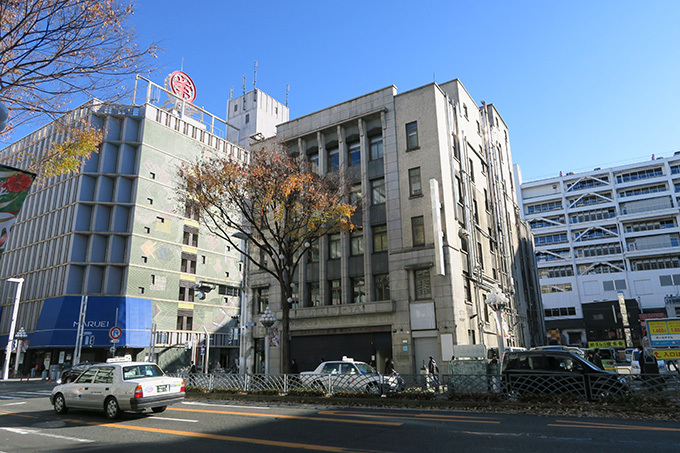 This time, at the Sakae Site, the former Meidi-ya Sakae Building and the Sompo Japan Nipponkoa Insurance Nagoya Building will be added as contemporary art exhibition venues. The former is a stately landmark of Nagoya’s modern architecture, facing on to Hirokoji Street, while the latter was designed by renowned architect Kurokawa Kisho, who also designed the Nagoya City Art Museum on Sakura-dori Street. Also, at the newly added Nagoya Station Site, art will be exhibited in the much talked-about JP Tower Nagoya, newly completed right next to Nagoya Station as part of a redevelopment project.